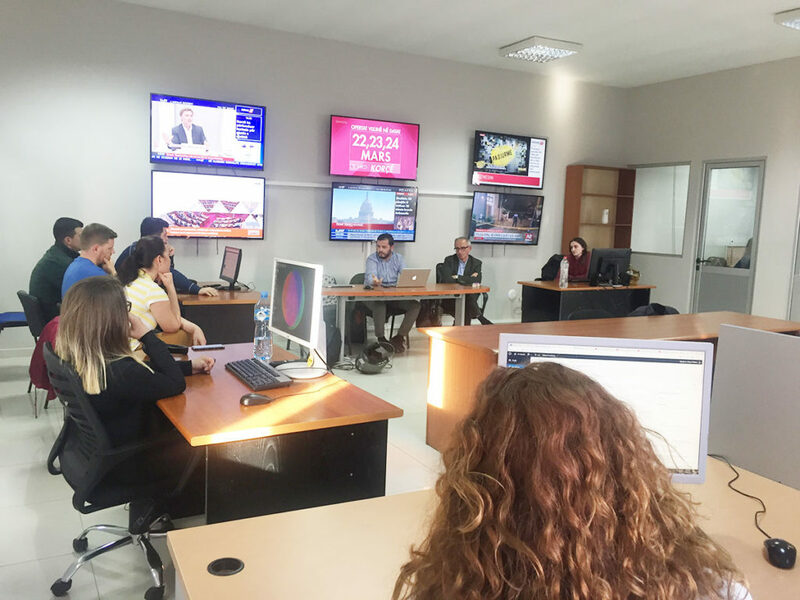 Throughout the tour in newspaper newsrooms, the AMC team stopped today at the editorial staff of klan.al and opinion.al, in the company of journalists Mark Marku and Sokol Shameti. Opinion.al is one of the newsrooms that results in a low violation of ethics, according to Media Council’s monitoring. 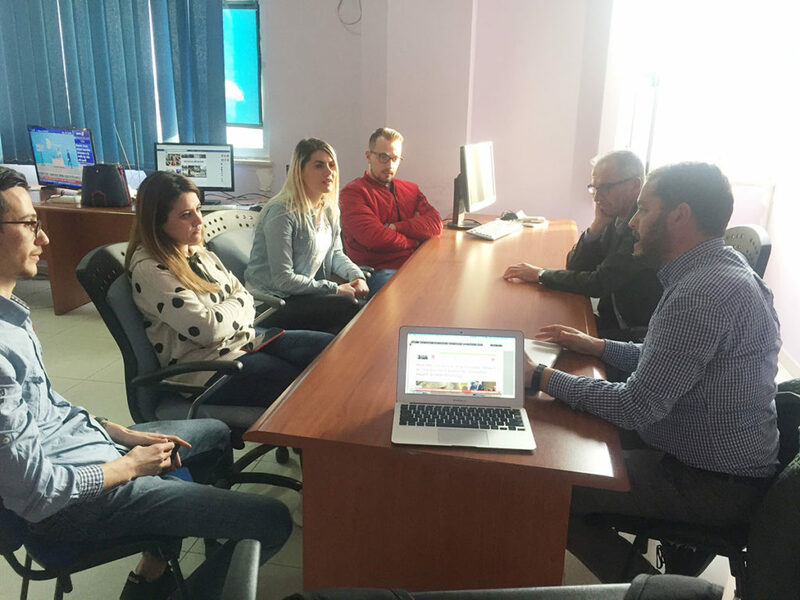 Journalists of this newspaper were concerned with unfair competition from non-professional portals that attract clicks through unethical news, bombastic titles, and non-professional access. Klan.al also strives to maintain high ethical standards. 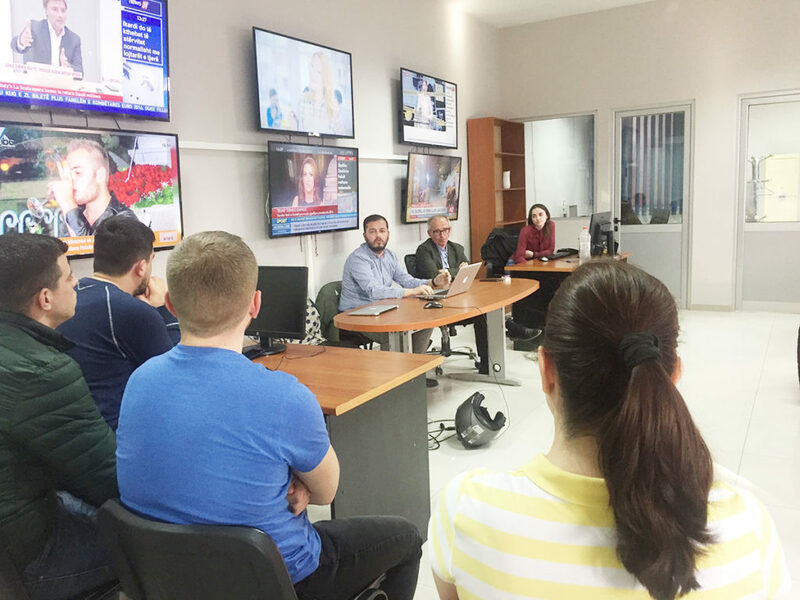 The editorial team of klan.al, according to Editor-in-Chief Spartak Koka, has refused more than once to publish non-ethical news although aware that this approach has left them at the forefront of the competition. Mark Marku, explained that bad journalism seems to bring profits for the moment, but in the long term it drains non-professional media. History has shown that ethical media have the greatest life expectancy in the market and their credibility to the public grows slowly but is steadily. 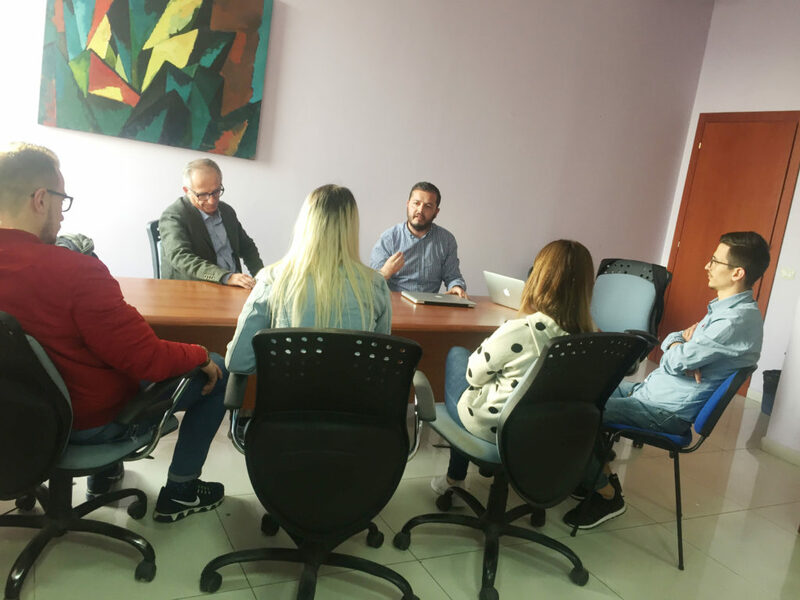 Sokol Shameti presented the findings of AMC’s monitoring for the period September-December 2018 – findings which were discussed with the journalists. The meetings, powered by OSFA funding, were held in a debate and very positive atmosphere.